India’s railways, which stretch over 71,000 miles in total and serve a staggering 18 million travellers a day, are some of the most iconic in the world. There’s good reason for it. The train system, which dates back to the days of the British Empire, is still the best way to access some of the country’s most remote (and beautiful) corners. While the stations are busy and vibrant on their own terms, the views from the trains are what’s really unmissable: whether you’re travelling through the deserts of Rajasthan, between India’s major cities, or amongst the lush jungles of the south, you’ll want to take in the scenery. We’ve selected four of the best train journeys in India, all of which combine convenience, luxurious accommodations, and incredible sightseeing. 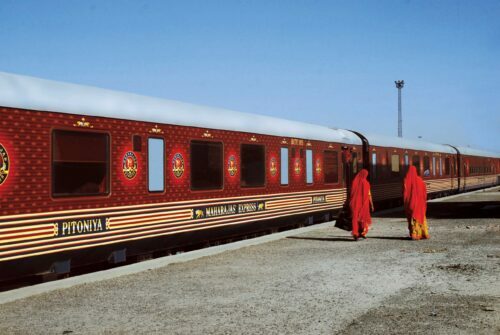 Those who’ve seen “The Darjeeling Limited,” the 2007 film by celebrated director Wes Anderson, will recognise his colourful scenes whilst travelling with the Palace on Wheels. The 14-coach train is home to lavish accommodations, including fully air-conditioned deluxe suites with carpeting, hot and cold water, and showers to ensure you’ll be fresh and comfortable throughout the duration of the trip. Two onboard restaurants serve Rajasthani and international cuisine, while the luxury bar is a perfect place to relax in the evening. 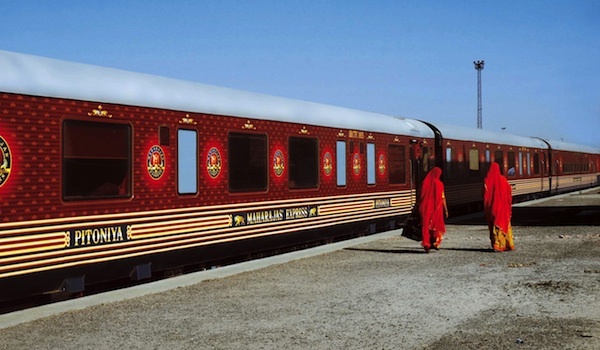 The eight-day train takes travellers from Delhi through Jaipur to the palace cities of Rajasthan before ending in Agra. 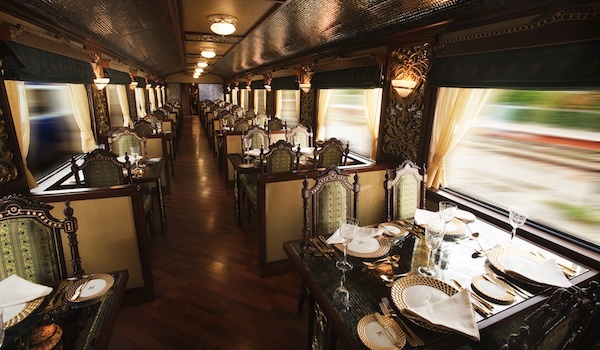 The most luxurious train service in all of India, the Maharajas’ Express travels within northwest and central India (based primarily in Rajasthan) and covers a total of 12 destinations. 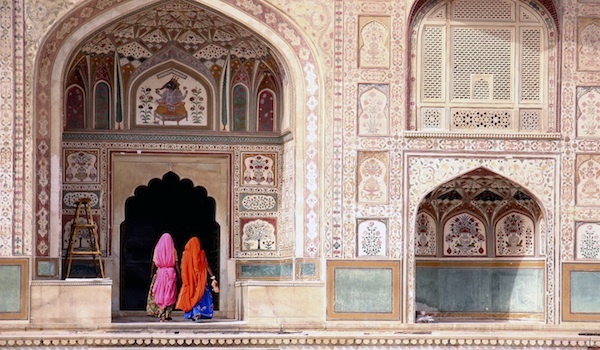 Guests can embark on different itineraries, like the Indian Splendor Tour (which visits stops as diverse as Mumbai, Jodhpur, and Agra) while the service also offers express four-day trips. Guests walk the red carpet when they first board, and that level of luxury persists throughout: interiors are plush, with some suites expansive enough to fit bathtubs and private dining rooms. Fittingly, the train comes equipped with a club, bar, and two restaurants to keep onboard options diverse. Travelling across the massive expansive of Maharashtra, the populous west Indian state that comprises Mumbai, Pune, and a number of other cities, the Indian Maharaja – Deccan Odyssey journey is one to remember. Named for the sweeping Deccan Plateau, the journey takes visitors through incredible scenery, and across some of the country’s most important cities: from Mumbai and Jaipur to Agra, Delhi, and Udaipur. In addition to two restaurants, the train hosts a library, bar, Ayurvedic massage centre, gym, beauty parlour, and steam bath. The high-end arm of India’s own railway service, the Shatabdi Express provides fast and comfortable accommodations between some of the country’s largest cities – its tracks stretch across the country. 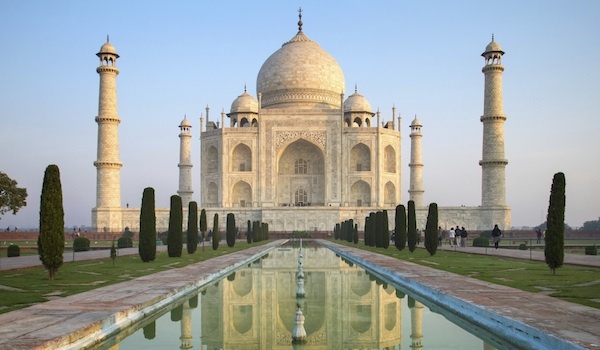 The Executive Class leaves Delhi at 6 AM and arrives at Agra just two hours later, which is ideal for those looking to visit the Taj Mahal before the crowds set in. The Shatabdi Express also offers a wonderful opportunity to take in the verdant stretches of Ranthambhore National Park. 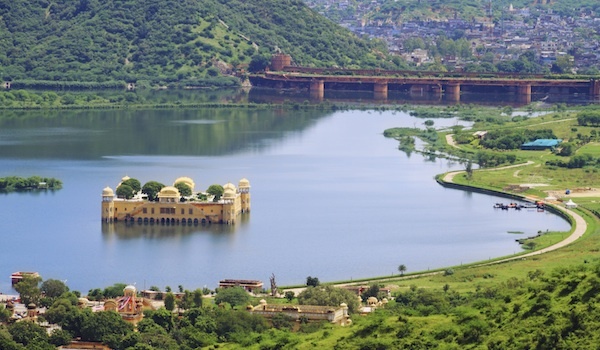 If you’re interested in the best train journeys in India – or exploring more of Rajasthan – you can view our Essence of Rajasthan itinerary for more information.